The Apollo 17 mission was never intended to be NASA’s final manned trip to the Moon. Three more missions had been scheduled but were all scrapped. The astronauts found something out there, something that determined NASA not to send any more missions up there. Well, not official missions, as the conspiracy theory goes. People with a natural curiosity will always be drawn by the Moon program because of the large number of intriguing photos and the astronauts’ own accounts of encounters with unexplained presences. And the number of photos showing enigmatic objects keeps rising. This photo was taken by Apollo 17 Lunar Module pilot Harrison Schmitt, one of the last three men to officially set foot on our Moon. A familiar object can be seen in the lower right part of the sky. This is an official NASA photo hosted on their servers. 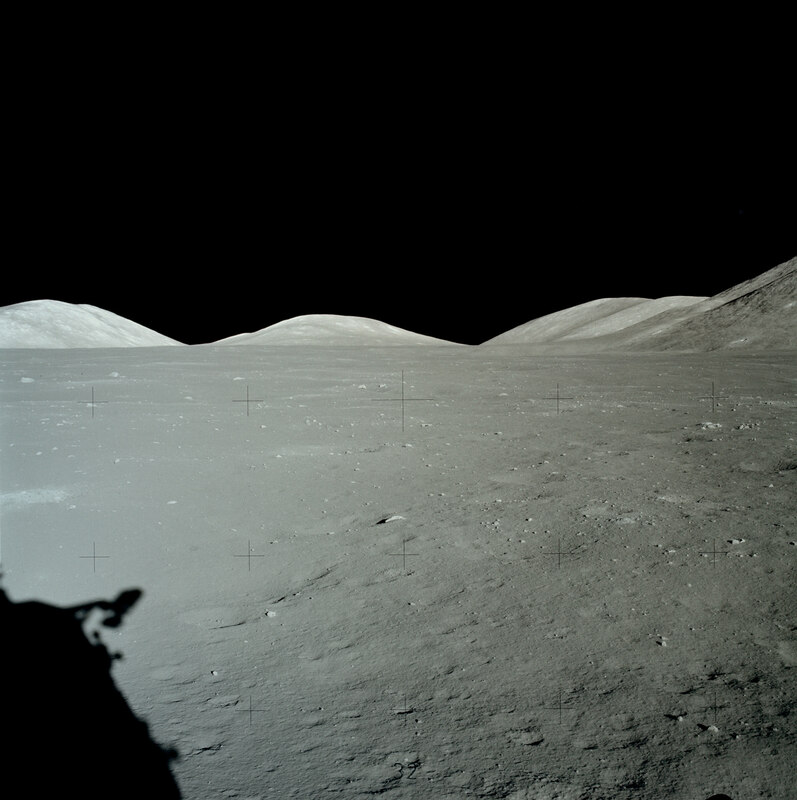 Being part of the Apollo 17 image library, it is undoubtedly genuine. So what is that object? Its shape reminds us of the UFO that caused a wave of sightings in Belgium in 1989-1990. This type of triangle-shaped craft is actually responsible for many of the reported UFO encounters around the world. The fact that it was photographed on the Moon in a position that offered it a clear vantage point over the astronauts shows that it is under intelligent control. Moreover, its presence all over the globe hints at its role as a reconnaissance unit tasked with observing mankind. And what better headquarters than our Moon, a place with a great view and one we seldom visit. Surely, this conspiracy theory could turn out to be hot air, but all evidence points otherwise. And dubious incidents like the taping over the Apollo 11 Moon Landing raise even more question marks. We need the truth because unfortunately, our own disinformation cannot protect us.